As part of CDOT’s ongoing “The Heat Is On” campaign, Colorado Springs Police Department (CSPD) is planning on stepping up its DUI enforcement efforts this St. Patrick’s Day weekend. According to a recent announcement, CSPD will be operating special patrols from Friday March 13th through Wednesday March 18th in an attempt to crack down on drunk drivers. 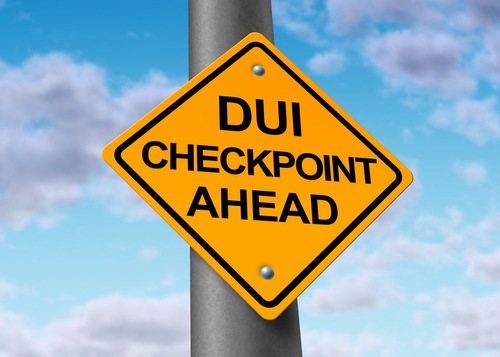 While part of these efforts will involve staffing more traffic officers over weekend and evening hours when there tends to be more impaired motorists on the roads, it will also likely involve setting up various DUI checkpoints throughout Colorado Springs. This coming weekend, CSPD will be stepping up its St. Patrick’s Day DUI patrols. Here’s what you can do to avoid a St. Patrick’s Day DUI. Contact us for the best DUI defense. Find a sober driver – If you’re partying this St. Patrick’s Day, you’re probably doing this with friends, so ask around to see if anyone can be your sober designated driver. If you can’t find a friend to be your designated driver, then plan on taking a taxi or public transportation. Stay somewhere for the evening – Depending on when you are partying, as well as when you may need a ride, you may end up having very limited options, especially if it’s late at night/early in the morning. If you find yourself out of luck with a sober ride, then plan on staying somewhere for the evening. This can be a friend’s house where you are partying or even a hotel room.Even if you end up having to pay a few hundred dollars to stay at a hotel for the evening, this is far less than the $10,000+ that a DUI would cost you. Party at home – If trying orchestrate a ride or a place to stay after your St. Patrick’s Day celebrations is becoming a headache, then consider keeping the party at home. If, however, you end up getting arrested for a St. Patrick’s Day DUI, then the best thing you can do is to contact us for the strongest possible defense. Have you or a loved one been charged with drunk driving? If so, the Adams County and Boulder DUI attorneys at Peter Loyd Weber & Associates are ready to immediately start defending you. Our primary concern is protecting your constitutional rights throughout the criminal process while helping you obtain the best possible outcome to your case.